Many people desire a brighter, cleaner, and more attractive smile, but they have chipped, stained, discolored, unevenly spaced, or even slightly crooked front teeth. If this sounds like you, we will be glad to help evaluate your specific situation, listen to the exact changes you have in mind, and show you examples of the end result before any treatment is performed. For problems such as these, Dr. Morgan often uses porcelain veneers to provide a solution. Often, porcelain veneers can provide a completely improved and dazzling smile in just a few appointments at our Tyler area dental office. Porcelain veneers are tooth-shaped pieces of porcelain placed over your natural teeth to provide a smile makeover. They are very thin, and they reflect light in a natural way, giving you a more attractive smile while letting the real you shine through. At our Tyler area office, Dr. Tad Morgan has performed countless procedures using porcelain veneers with excellent results. Want to have a look? Check out our smile gallery. The actual treatment usually involves only two visits. The number of pre-operative visits to work out details and ensure predictable results will depend on the complexity of your situation and the changes you desire. There usually is a follow-up visit or two for final adjustments and polishing, and Dr. Morgan will go over instructions for caring for your new smile to ensure it lasts for years and years. If you're looking for a dramatic smile makeover, we can make this possible with porcelain veneers. Porcelain veneers can be crafted specifically to your specifications and made to look like natural teeth. We'll make sure they're shaded and shaped to look right next to your unique smile. Would you like to see the results Dr. Morgan has achieved for others? Check out our smile gallery. Contact the Bullard, Texas dental office of Tad Morgan, D.D.S. to learn more and schedule an appointment. We serve the entire Tyler area, including Flint, TX and surrounding areas. Not sure porcelain veneers are what you’re looking for? 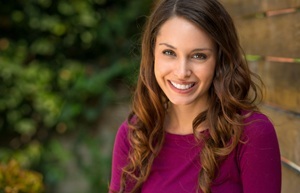 Dr. Morgan offers a wide range of cosmetic dentistry services to help you feel better about your smile, so let him explore your options with you and come up with a treatment plan just for you.